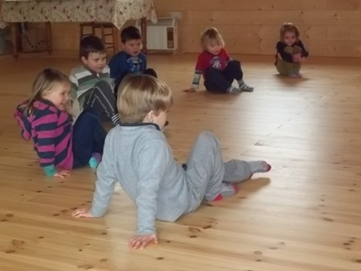 We offer two different pre-school rooms to suit your needs. Please contact us to find out more, or if you would like a brochure. 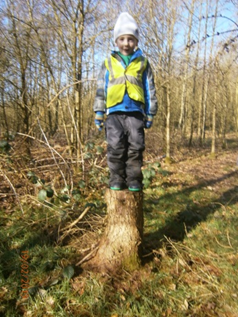 Pre-school children at Holmsdale regularly visit one of our forest school sites in our nearby woodland, Grange Wood. 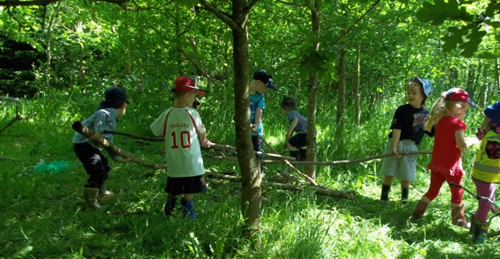 Grange Wood is within walking distance and offers fantastic opportunities for children to develop their physical, social and communication skills, as well as their creativity and awareness of risk. 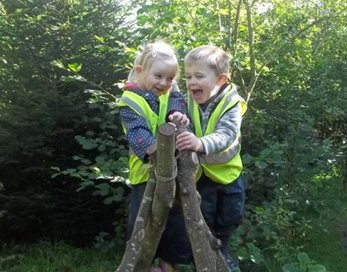 The photo above shows children working together at forest school, developing communication skills and personal, social and emotional skills- as well as being in the fresh air and having fun! 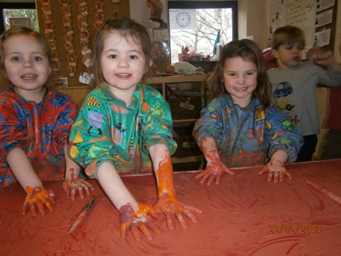 The range of indoor and outdoor activities we offer in pre-school is carefully planned by our highly qualified staff. We aim to encourage children to work and play together and extend their knowledge and understanding. 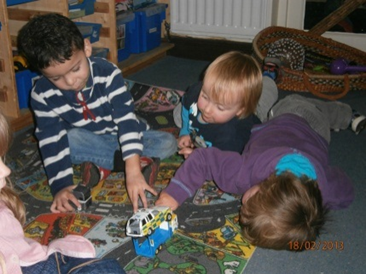 Children enjoy playing with small world toys, with expert support from highly qualified staff as they learn to share, communicate and negotiate. 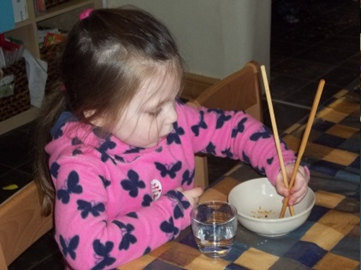 Children have the opportunity to choose activities for themselves as well as choosing to try out more structured tasks guided by their ‘key person' and other staff. 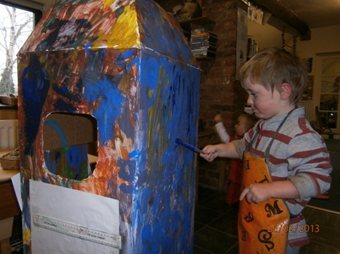 We offer lots of large scale, messy art activities- like painting this rocket! We believe children learn best through active, exciting, hands on experiences. The experiences we offer are planned after careful observations of each individual child’s interests and their level of development. This approach helps to build a secure foundation for each individual's future learning. During their time at Holmsdale, your child will be encouraged to become an independent thinker with confidence and a positive attitude towards learning. Alongside our focus on physical development, social skills, communication and self- care skills, this will help to build a secure foundation for their future and increase their confidence as they move on to school. We emphasise the importance of respecting other people and other cultures. Throughout the year we celebrate special days from different cultures, including Chinese New Year, Easter, Diwali and Christmas. Our cook prepares special meals from around the world. 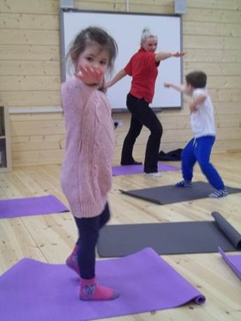 Pre-school children enjoy a wide range of activities that develop their physical skills, listening skills and ability to follow instructions, including dance, gym and yoga. Both pre-school classrooms have access to their own interactive whiteboards and a range of educational games, for example maths games, art programmes and literacy games. For more information about the wide range of pre-school learning opportunities we offer, please contact us to request a brochure or to look round the nursery. To find out more about the nursery please click on the headings on the left of this page.